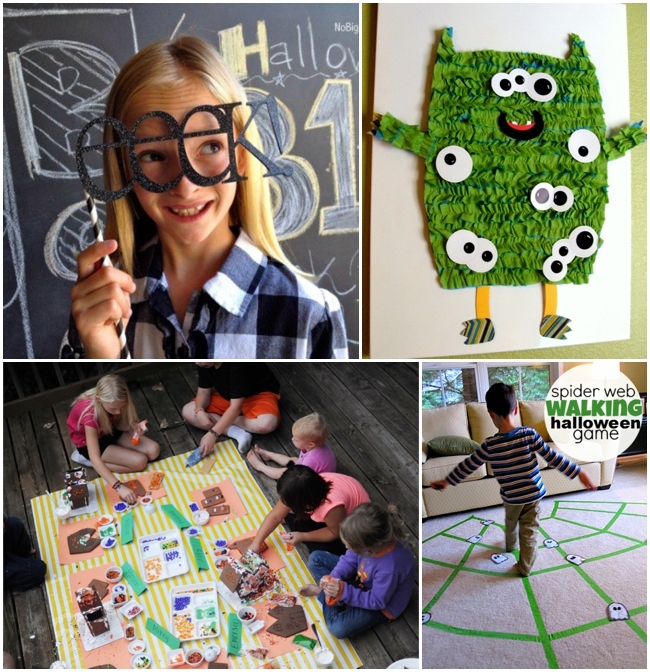 Throw the ultimate thrill filled (non-spooky) party for and with your kids this October with these 28 awesome Halloween Games For Kids. 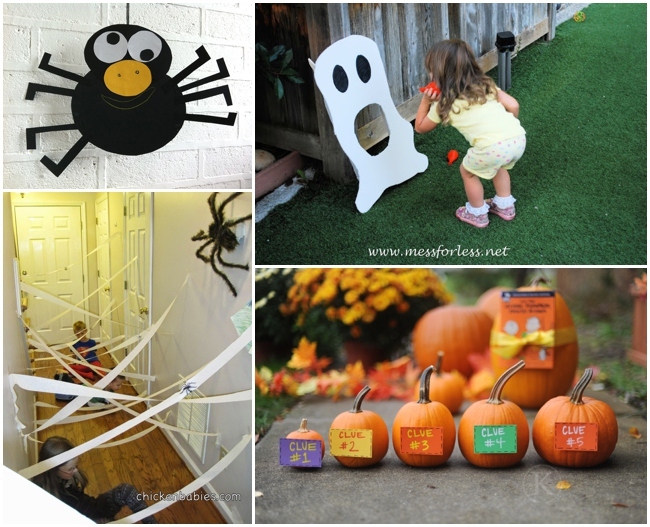 We’ve got you covered here on Kids Activities Blog when it comes to simple halloween games, activities, crafts and costume ideas this year = FUN. FUN. FUN! 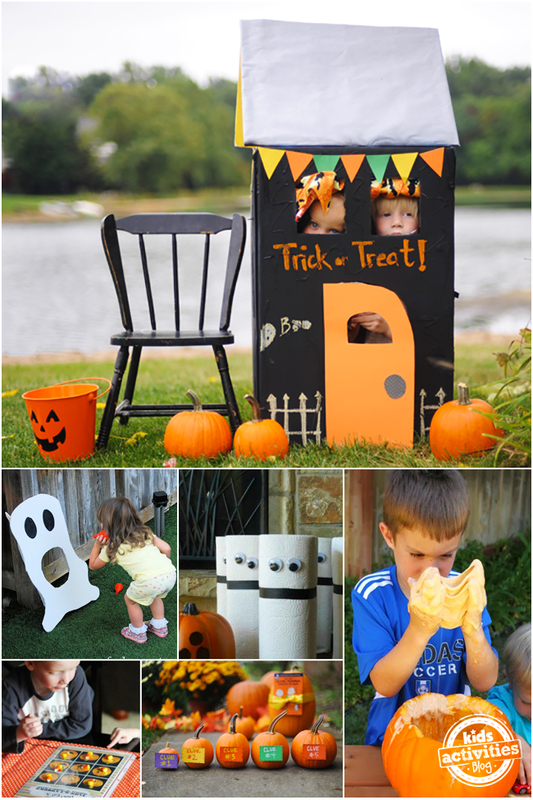 (I’ve been waiting an entire year to write a halloween post so I could include this activity. 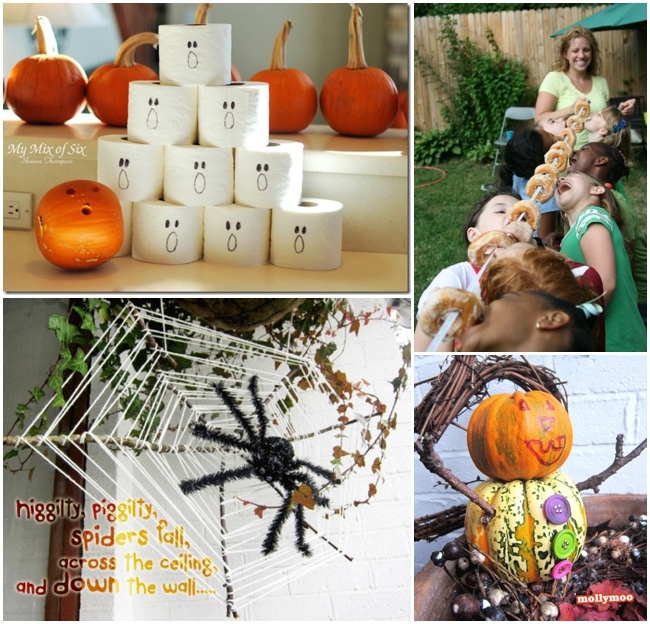 A fun alternative to bobbing apples – hands behind your backs and “try” and eat the donut! How cool would that be for birthday parties or summer garden parties??!! Gooey gross stuff so perfect for Halloween giggles. Donuts on a string seems lots of fun! Thanks for the ideas, I’m sure the kids will just love whatever option we choose here!